I love when Phillips Music gets its hands on a musical instrument we’ve never featured before! This Sunday, we will have classical guitarist Jason Vieaux performing with Julien Labro, who is proficient in playing the accordion and bandonéon. Naturally this raises the question, to most of us, what is a bandonéon? A bandonéon, in fact, is a type of concertina. Similar to the accordion, it is played by holding the instrument between both hands and pushing in or pulling out, while pressing the buttons with the fingers. Unlike an accordion, however, these buttons all correlate to individual notes, and so chords are played by pressing combinations of buttons at the same time. Bandonéons are often square or hexagonal in shape with beveled edges and unusually long bellows. 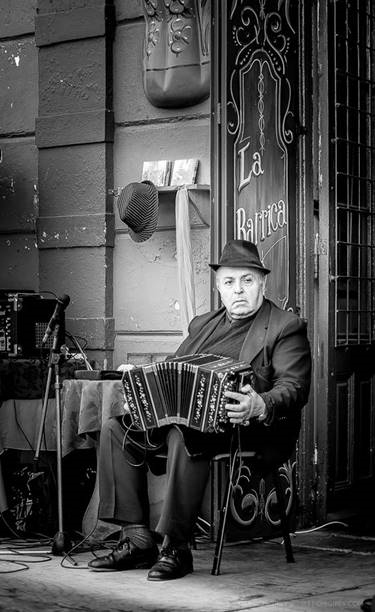 I’ve found a decent photo of one (caption below) and a video with a very familiar refrain—La Cumparsita (when I think of tango, this is what I hear in my head). The following is an excerpt from David Rohde’s interview with Tessa Lark, originally published in DC Metro Theater Arts. David Rohde: I know you’re from Kentucky, but specifically where? Since you went to the Cincinnati Conservatory of Music, were you from the Cincinnati area or further away? Tessa Lark: I’m from just south of Lexington – Richmond, Kentucky. It was a two-hour drive to Cincinnati when I started participating in that program. I started going there when I was 11 years old. The Starling program is what the pre-college program is called in Cincinnati. It happened every Saturday, so it would pretty much eat up my weekend. I would go up there and have a Saturday morning private lesson, music theory classes, eurhythmics classes, string orchestra rehearsal, and some chamber music as well. Going back before that, when did you start playing the violin? I started when I was six years old, and I started with the Suzuki method. 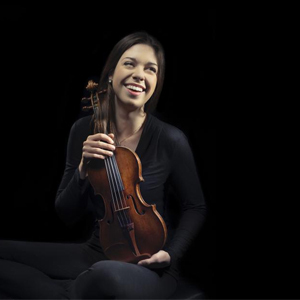 Did you love playing the violin from the beginning, or is that a misperception? No, not at all. I have adored music my whole life. I played mandolin two years before I played the violin, and my father plays banjo, so I was always intrigued by what he was doing with his friends. And I had a toy keyboard when I was really young, and I would pick out tunes that I was hearing on the radio. My parents noticed my interest in music from a very young age. So the violin was my toy, in essence. I just loved playing it and I loved practicing. When you went up to Cincinnati those weekends, was the entire day spent on, quote-unquote, classical music, or did you have a chance to branch out from there? Yeah, there’s no quote-unquote about it; it was strictly classical. My teacher there, Kurt Sassmannshaus, is wonderful about teaching his students about the business of classical music too. And he has been a supporter of my playing bluegrass music in recent years, so that’s very wonderful. But his expertise, and amazing wisdom was in the classical realm. So that Saturday was devoted entirely to classical music. You have a very “speaking” or narrative voice across the entire violin. Some violinists, you can tell, they just don’t care down there on the G string as much, they can’t wait to get up to the high notes. In my early teens, I took three weeks of cello, which was a lot of fun. To this day, the E string [the highest string] is not my favorite string on the violin! But it seems to equal everything out and help tell stories. Did your teacher contribute to that? My favoring the low registers of the violin, I think that’s just my own taste. But you can look up some of his teachings online at violinmasterclass.com. He made this website long before YouTube was as popular as it is, so it was really revolutionary. It has a lot of quick videos on different techniques and aspects of violin playing. Mr. Sassmannshaus is unbelievably clear and succinct with his methods. He would tell me to do something or practice something in a certain way, I would do it, and I would see the results. When I got to conservatory I noticed that a lot of students didn’t actually know how to practice. They were very talented and they got to where they were from that talent, but I had a teacher who really helped me figure out how to be efficient all across the board. The Starling program offered countless performance opportunities. That might be the most amazing gift that he gave me as a young person. I had a lot of time on stage with my nerves in front of an audience. You can practice as much as you want to in your own room, but you really have to get on the stage to learn how to deal with stage fright. 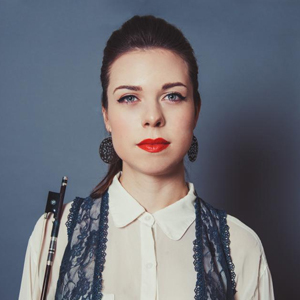 Phillips Music features Tessa Lark in concert with pianist Roman Rabinovich this Sunday, December 10. Huge thanks to the folks at PianoCraft for helping Phillips Music stay in tune this concert season! 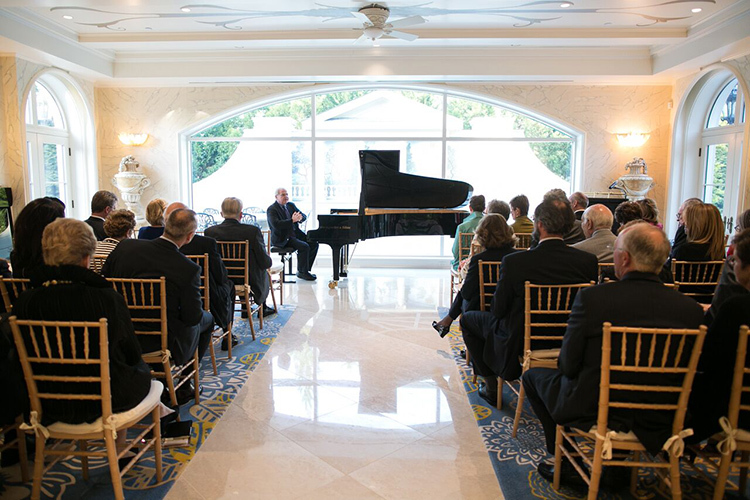 This beautiful Steingraeber grand they lent us for the 75th anniversary Emanuel Ax benefit concert made the evening unforgettable. Mr. Ax sat at the freshly-tuned piano for no more than 15 seconds to warm up, hammered out a heap of chords and scales, and proclaimed: “perfect, I’m ready now.” PianoCraft, thank you for never letting us miss a single note this season.